Having a working PDF editor for your Mac or Windows computer allows you to do so much with your PDFs. PDFelement is a top adobe acrobat PDF editor alternative and highly rated software available for Mac and Windows users. Also includes an online PDF editor and PDF editor app for iOS and Android users. Are you on Mac? Use PDFelement PDF editor tool to work on your PDF files in so many ways. The adobe PDF editor alternative include lots of PDF editing features to help you accomplish a lot with PDFs. Windows users definitely have lots of PDFs to work on or convert to diverse formats for all manner of reasons. 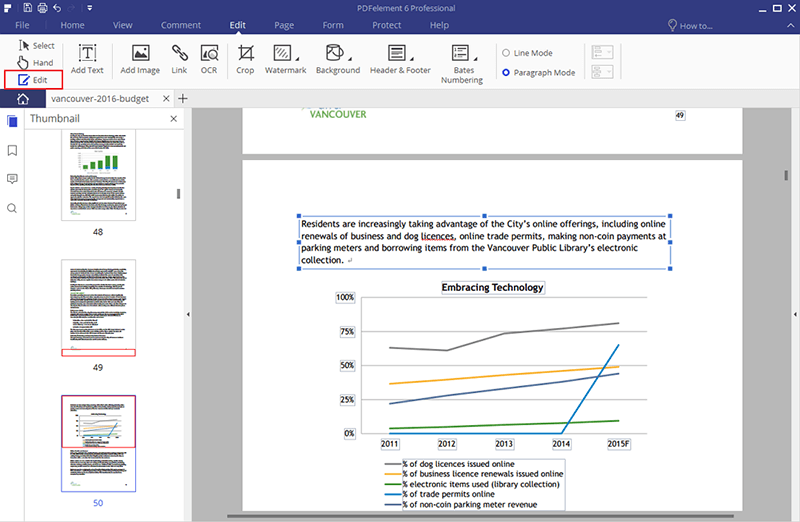 PDFelement for Windows is your superb adobe acrobat PDF editor alternative to use from anywhere. Just want to access your PDFs online and edit them as you want? Whatever the reason might be, PDFelement is your adobe acrobat online PDF editor alternative easily accessible and efficient. Every Android device deserves a working efficient PDF editor app such as PDFelement, the perfect acrobat PDF editor alternative for Android users. Looking for a top quality adobe acrobat PDF editor alternative for your iOS device? PDFelement is ranked top on the list. Check it out.